Most automakers design SUV models. BMW goes against the grain and designs Sports Activity Vehicles ® in its X-lineup. These are like SUVs except they place an emphasis on activity. They have a comfortable interior, offer superior road performance and are designed to tackle just about any challenge. The BMW X1 is the smallest in the Sports Activity Vehicle ® lineup. It is nimble and ideal for driving in tight Los Angeles streets. It has a competitive fuel economy that is sure to keep you away from the pump and a comfortable interior for your passengers to relax in. The BMW X3 is beefier than the X1 and is designed to handle itself on and off the road. It gives you choices in the car-buying process by offering a few engine options, advanced technology packages and even an M Sport design package that is sure to make your neighbors jealous. When you’re behind the wheel of a BMW X3, nothing is impossible. To learn more about this competitively priced Sports Activity Vehicle ® (SAV ®), follow this link! When shopping for a BMW X5, you have the choice of buying it as a three-row or two-row SAV ®. 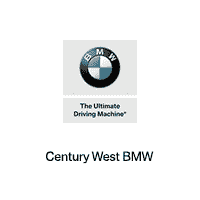 This spacious BMW offers an ample amount of passenger space, cargo space and comfort amenities. To learn more about these specific, visit our research page and let us know your favorite part of the BMW X5. The newest member of the SAV ® family is the BMW X7. This is a three-row BMW with class. Its luxury interior features and eye-catching exterior make it a standout at any event. It also offers an M Sport package that includes M Performance designs for added flair.